The ONYX Deskset HD is a portable video magnifier that adapts to multiple environments and tasks for productivity at school, work, and at home. The new sleek design integrates a high-definition camera and monitor to let you clearly see what you want, whether it’s across the room or at your desk. 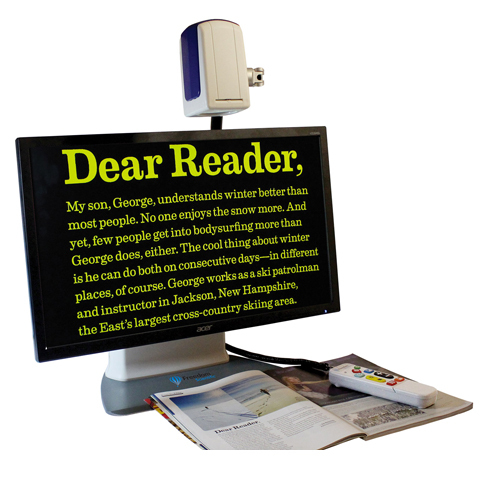 The 3-in-1 flexible camera provides document reading, distance viewing, and self-viewing modes with versatile controls.